Bone fractures may result in various complications ranging from acute to chronic. 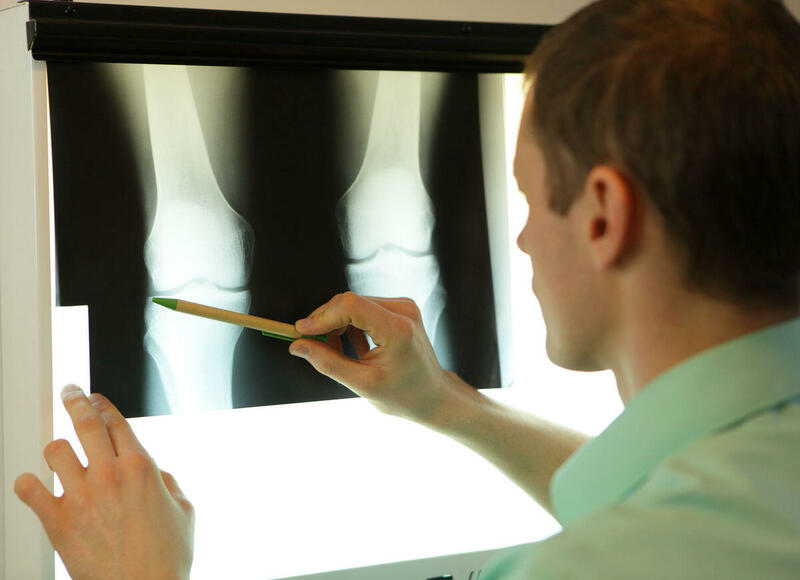 A bone fracture is one of the most common types of injuries that occur in a St. Louis car accident. While in most cases, people recover easily from their fractures, others face significant risks for complications. There are various complications ranging from acute to chronic that may result from accident trauma, soft tissue damage, and other issues. Vascular damage: Some car accident victims who suffer a fracture may experience vascular damage such as disruption of blood supply to the femoral artery. This can happen in case of a pelvic fracture that could damage the femoral artery. If not treated quickly and properly, it can be life threatening. Respiratory problems: When a car accident victim suffers a bone fracture in the chest, they may develop pneumothorax or other respiratory problems. Loss of mobility: Some fractures may lead to long term or even permanent loss of mobility. This is especially true in cases involving older individuals. Visceral injuries: Permanent organ damage may occur if the fracture protrudes in adjoining organs such as the bladder or lungs. Systemic complications: Some common examples include sepsis, fat embolism, shock, pneumonia and aggravation of a pre-existing condition. Improper bone healing: In some cases, the initial injury may not cause damage, but the healing process does. If the bone fracture is delayed from healing or does not heal properly, it can lead to complications such as malunion. This can necessitate surgery. Nerve and tissue damage: A bone fracture can cause permanent damage to the surrounding tissues, skin, and nerves depending the severity of the fracture. Myositis ossificans: The condition occurs when calcifications develop inside the muscle and are accompanied by a bone fracture. It can cause swelling, tenderness, intense pain and muscle contractions. Compartment syndrome: When internal pressure within a closed space compromises the body’s circulation, it can lead to temporary or even permanent damage to the affected area. These are some of the complications that can follow a bone fracture. Some of these are serious and can cause permanent damage if not treated promptly. This can increase recovery time and medical expenses considerably. If you have suffered a bone fracture due to the negligence of another driver, you may be entitled to damages covering your medical expenses, rehabilitation, lost wages, and pain and suffering. You should hire the services of a competent St. Louis car wreck lawyer, who can protect your rights and help get the damages you receive. Call The Hoffmann Law Firm, L.L.C. 24/7 at (314) 361-4242 to schedule a free and private consultation.